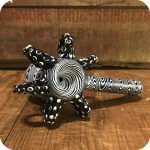 Check out our charming Kraken Glass Pipe! 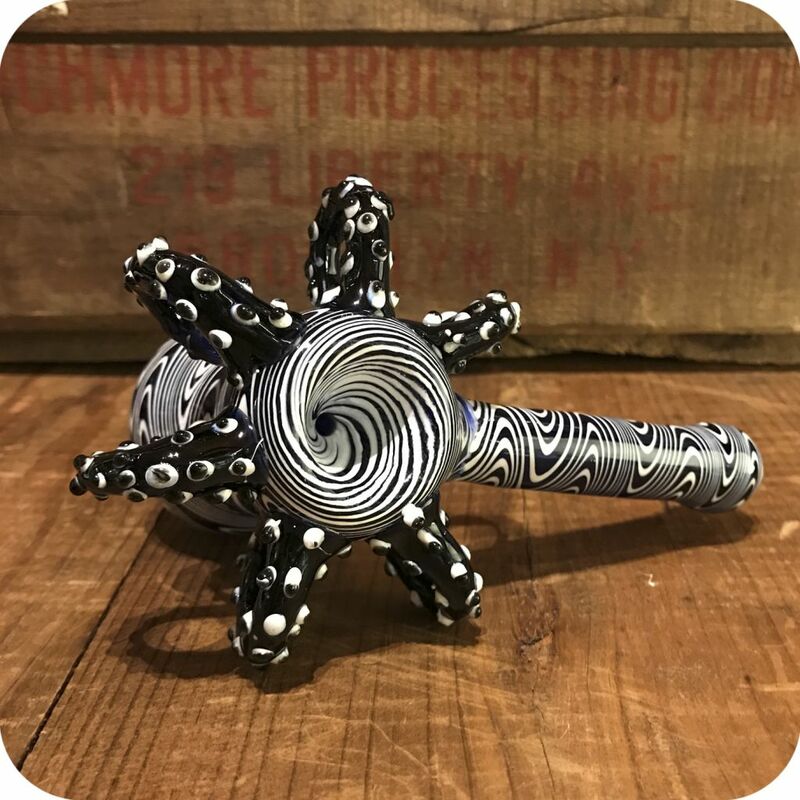 This Kraken glass pipe was hand-blown in the USA by independent glass blowers, which assures the buyer will receive high quality material, rather than cheaply manufactured glass that is imported. The piece is 5” in length and the water chamber is 2” in diameter, which is a perfect size to share with your friends or keep for yourself. 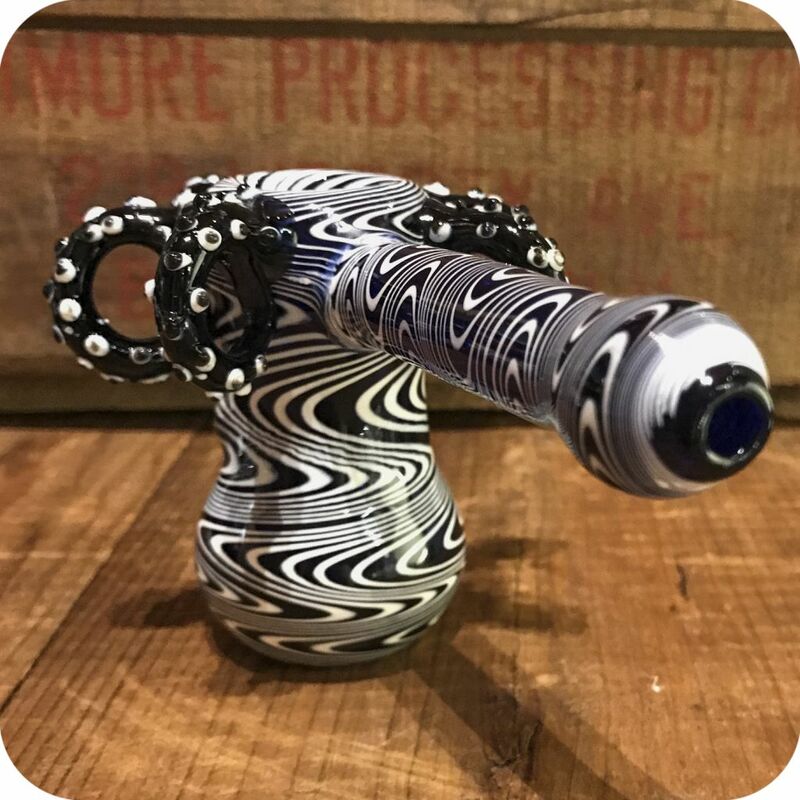 This bubbler has a swirly white design that gives it a mysterious whirlpool aesthetic, which is bound to pull your smoke down into the cooling, unknown abyss. 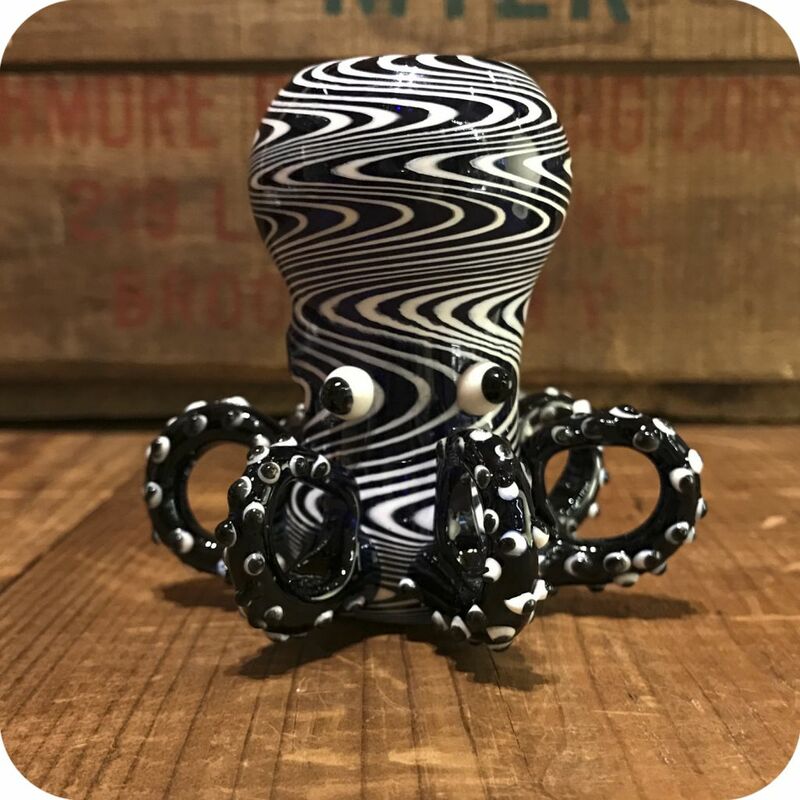 The tentacles bring the piece to life with each suction cup giving you a daring glare. 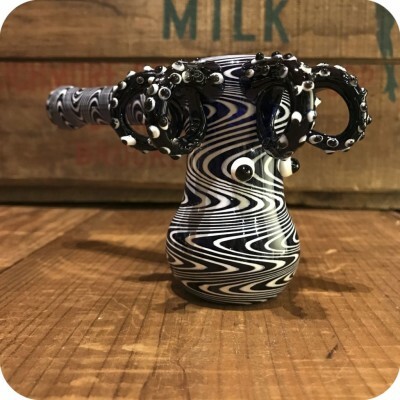 The carburator is placed below the left eyeball of the Kraken Bubbler. 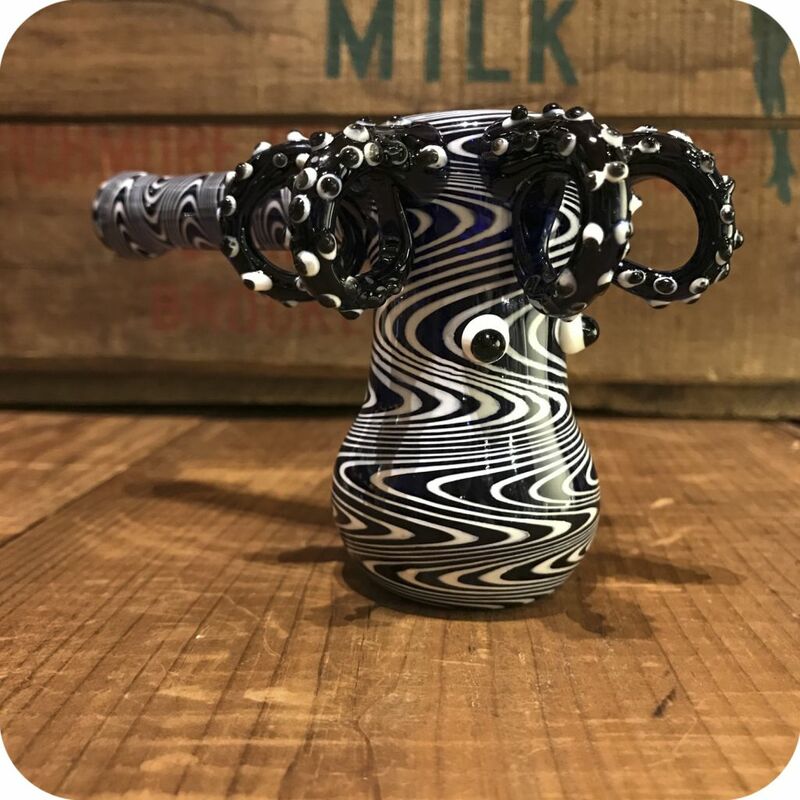 If you’re looking for a refreshing new piece that brings your smoking ritual to life, then hurry now and grab the Kraken Bubbler! 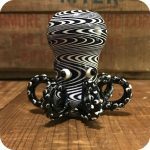 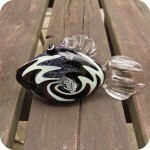 Tags: animal pipe, black and white pipe, Brooklyn, brooklyn glass, brooklyn smoke shop, bushwick, bushwick head shop, decorative pipe, Kraken Glass Pipe, large pipe, octopus pipe, sea themed, Sunflower Glass Co, Sunflower Glass Company, sunflower pipes.